Is Flossing the Best Way to Prevent Dental Disease? The dentist’s mantra is to “brush and floss” but is flossing useful or could other protocols keep teeth cleaner and healthier? Flossing has devotees who trust it is the only way to oral health, but where did their emphatic belief originate, and what if they are wrong? We have no science to support flossing (even multiple times a day) as a method of preventing caries. Maybe we will look back in 50 years and laugh at the concept of cleaning teeth with a length of string. Dr. Ellie thinks it is time to lay the flossing parrot to rest, empower patients with new ideas, and help more people enjoy disease-free dental visits! Patients believe dentists know how to prevent cavities, yet many compliant patients end up with cavities and gum disease. Presumably dentists follow their own advice, but it’s no secret that plenty of dental professionals experience recession, caries, root canals and periodontal problems, and need fillings, extractions, bridges or implants. Some argue that people don’t follow directions, but this cannot excuse the damage dentists and hygienists experience. Perhaps you believe fillings age, enamel thins, and teeth darken naturally, but what if the problem is our method of tooth care? What if brushing and flossing are inadequate to protect teeth against the ravages of life? Cochrane Database shows weak, unreliable evidence that flossing and brushing can reduce plaque at 1-3 months, and no studies indicate effectiveness of flossing and brushing to prevent caries. The Surgeon General’s Report in 2001 shows an epidemic of decay in 2 year olds, 70% of teenagers have fillings, and one in two 30 year olds has compromised periodontal health. By age 65 , 178 million Americans are missing teeth and over 35 million Americans are edentulous. The number of partially edentulous is expected to rise to 200 million over the next 15 years. Patients enjoy dental visits when they feel empowered, but become fearful if they constantly need treatment or loose teeth for reasons they don’t understand. Perhaps it’s time to question the advice we offer patients and ask why, if caries and periodontal disease are preventable, don’t our strategies lead more people to ultimate oral health? Imagine a handyman repairs a floor in your home. Every few years you call him to fix the work he has previously done. With each repair the project becomes more complicated, until eventually he tells you the entire floor must now be replaced. You are grateful for the excellent repairs and pay a substantial charge. Imagine when you discover the water faucet that is responsible for the damage, was never shut off. It is unfortunate for elderly patients to recount their lifetime of dentistry, describing fillings, crowns, bridges, dentures, and full mouth implants they dutifully accepted. These patients visited regularly, paid their dues, yet their teeth deteriorated year after year. They were told they had aging fillings, thinning enamel, bite problems, and recession – conditions beyond help. But is this the truth? Obviously fillings and cleanings do not stop disease, but is there a way to control deterioration? The American Academy of Pediatric Dentistry recognizes the preventive benefits of xylitol, yet most dentists are not familiar with the protocol for effective xylitol use. “A stitch in time saves nine” and obviously prevention is more effective before damage. As permanent molars erupt, the strain of bacteria that colonizes the fissures will dominate the mouth, which explains the importance of a healthy mouth ecology at the time of molar eruption. If a baby’s mouth is colonized with healthy bacteria, the child will have less caries, and ideal prevention should begin before a baby is born. 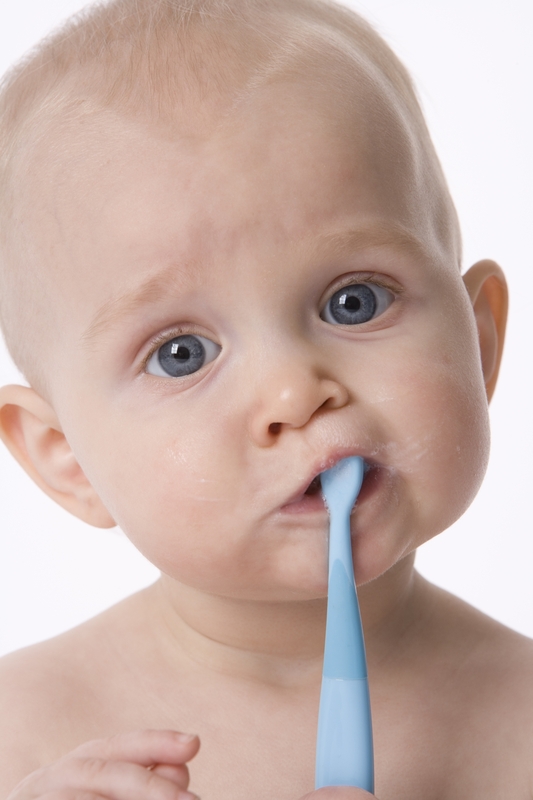 Evidence Based Reviews show xylitol significantly reduces Streptococcus mutans, over 6 months. In a Scandinavian study, mothers with high titers of Strep mutans chewed xylitol gum during pregnancy, and for two years after giving birth. Xylitol reduced cariogenic bacteria transferred to the babies and the outcome was 70% less caries for these children. Other studies show wiping xylitol onto erupting teeth gives additional and extended protection. In 2002 Peter Milgrom, University of Washington, showed that with adequate dosage (6-10 grams) and frequency (5 exposures a day) 98% of Strep mutans can be eliminated with xylitol. A search of randomized controlled trials, meta- analyses, clinical trials and systematic reviews, suggests interventions should occur in the first years of a child’s life. The strategy of adjusting mouth flora can be applied to older children and adults with equal success. Xylitol can reduce plaque on teeth, mucous membranes, tongue, and saliva and reduce calculus, limit caries, and make plaque slippery so it is easier for patients to clean their teeth. Hygienists admit that only 5% of us can floss properly, and studies show even the most skilled only remove 45% of plaque with brushing and flossing. Xylitol provides an easy solution to help patients become more effective with oral care, and prevent bacterial transmission from person to person: something particularly useful for families with a history of poor teeth. The great news is that xylitol is delicious and there are many ways for children and adults to enjoy it. Xylitol fits most life-styles and can work for every pocket book. Xylitol crystals can be eaten off a spoon, added to water as an after- or between-meal drink, wiped on teeth, or used to protect the elderly, special needs children, or those on a budget. Xylitol mints, gum and candies come in various flavors, textures and price ranges, and because they work, this approach is exciting for families. Patient need products sweetened with 100% xylitol and not mixed with cheaper artificial sweeteners (like sorbitol), since this can limit remineralization. Patients have a right to be confused and wonder if dental disease is a mystery, a phenomenon, or bad luck. Oral health’s impact on general health makes it unacceptable to allow disease to fester, hidden by cosmetic restorations, or at a sub-clinical level, controlled by hygiene appointments. Don’t blame fillings, worn enamel, weak teeth, or patients themselves, because most dental damage is caused by acidity. Acidity can be from drinks, from the breakdown of sugars (that become acids) or from acidic saliva in the mouths of the elderly, during hormonal imbalance, from stress or depression. A dry mouth exacerbates problems, but xylitol can balance mouth acidity and help patients avoid cariogenic, erosive, and other problems. Xylitol can eliminate the reason for tooth damage, prevent progressive destruction, and stop the never-ending sequence of repairs that get larger and more complicated each time. Let’s “turn off the faucet” before restorative, orthodontic, or cosmetic procedures, and allow oral health to be sustained – not deteriorate – year after year. Most patients are delighted at the idea of trying to reverse their problems before dentists start drilling, filling or scaling teeth. If you subscribe to the belief that teeth age, cavities happen, and periodontal disease is for life, what is there to lose? Many dentists do not believe dental disease is preventable, and some cannot imagine repair by remineralization. Cavities take at least a year to form, and such cavities can remineralize (with correct protocols) in 4-6 months. A successful home care regimen can ignite a positive interest in oral care and will empower people to feel more successful.